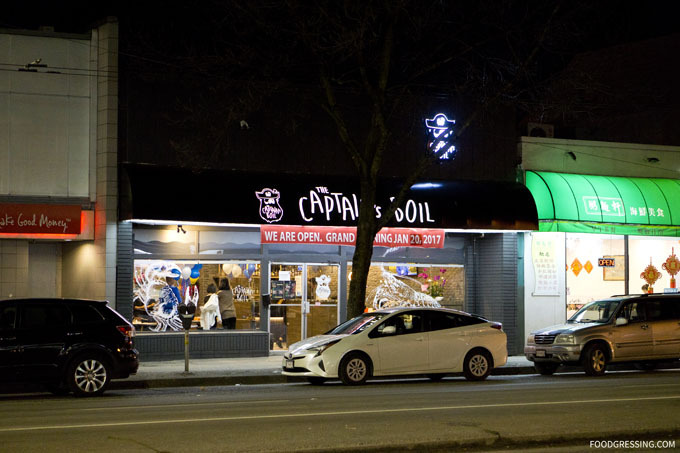 On the heels of the successful opening of their first BC location last summer, Toronto’s The Captain’s Boil now has a second location in Vancouver. 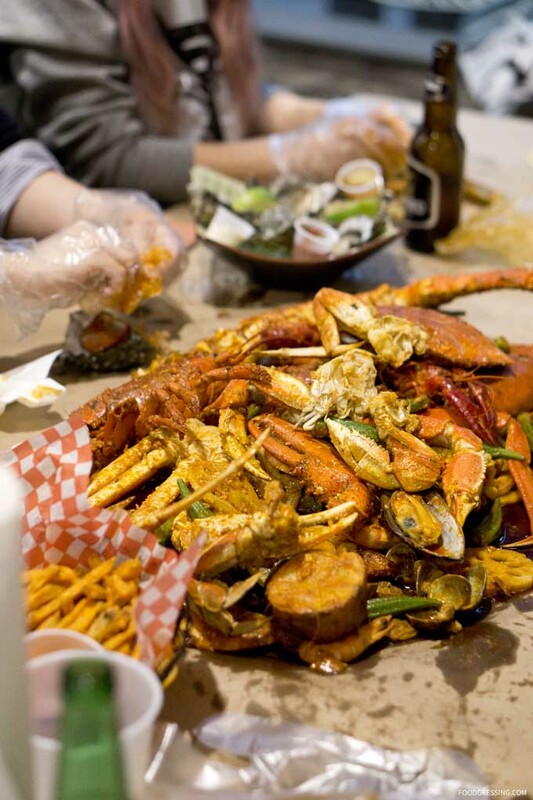 Located at 3309 Kingsway, The Captain’s Boil started serving seafood lovers earlier this month. 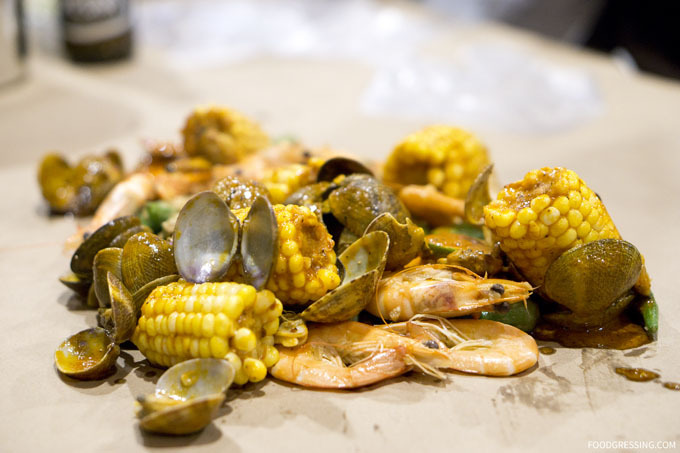 At the Captain’s Boil, you can indulge in boiled Cajun and Asian-inspired seafood feasts with a unique fusion flavour. 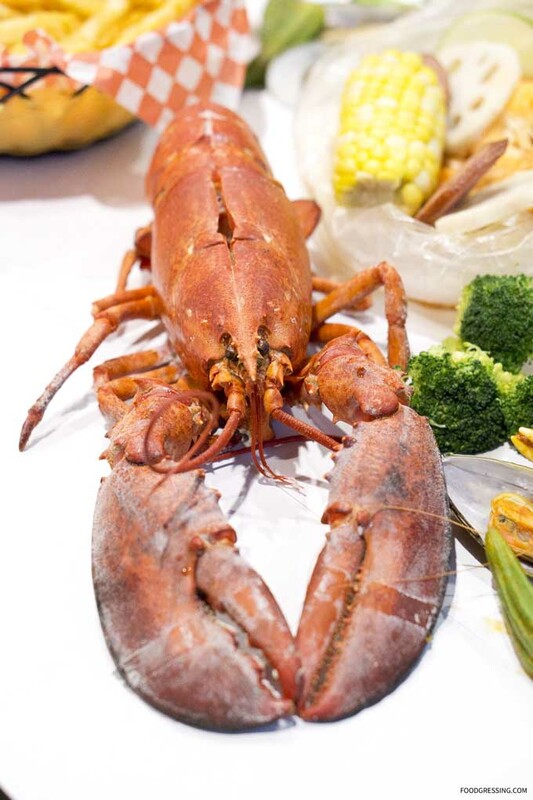 The recipes were inspired by Asian Fishermen who immigrated to the US Gulf Coast during the 70s and gave traditional Louisiana Creole-inspired crawfish boil a twist by adding Asian spices and aromatics. I was invited to a media tasting at The Captain’s Boil Vancouver recently. Allow me to discuss this delicious and very hands-on affair. Disclosure: I was invited to a media tasting. All food was complimentary. Opinions are my own. To start, what would it be without some nautical-inspired decor to make it feel as if you were on a ship? 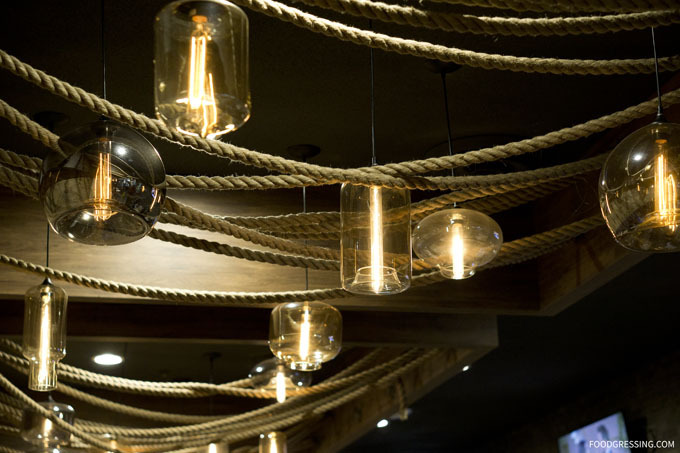 I love the nautical ropes which criss-crossed the ceiling and the industrial-chic lights dangling above. 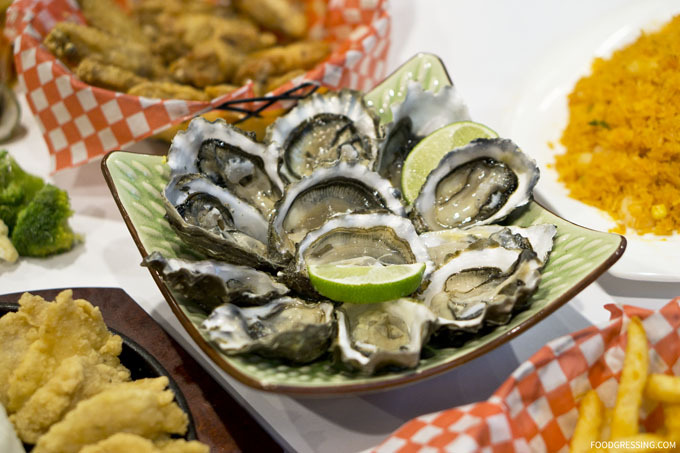 The Captain’s Boil Vancouver is smaller than their Richmond location but still boasts a lively and fun atmosphere. 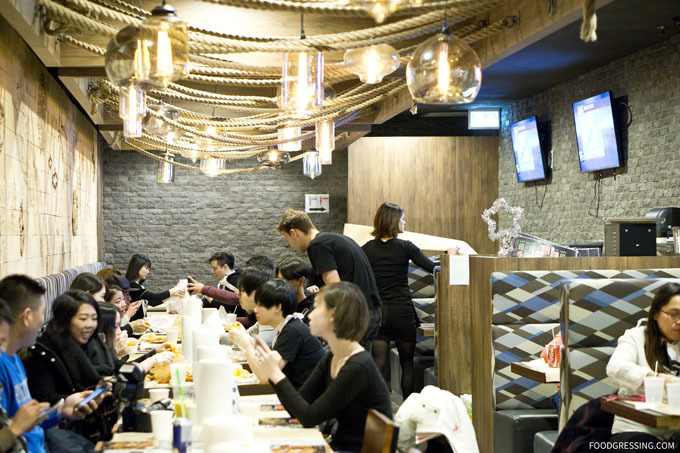 There are many dining tables as well as booth seating. 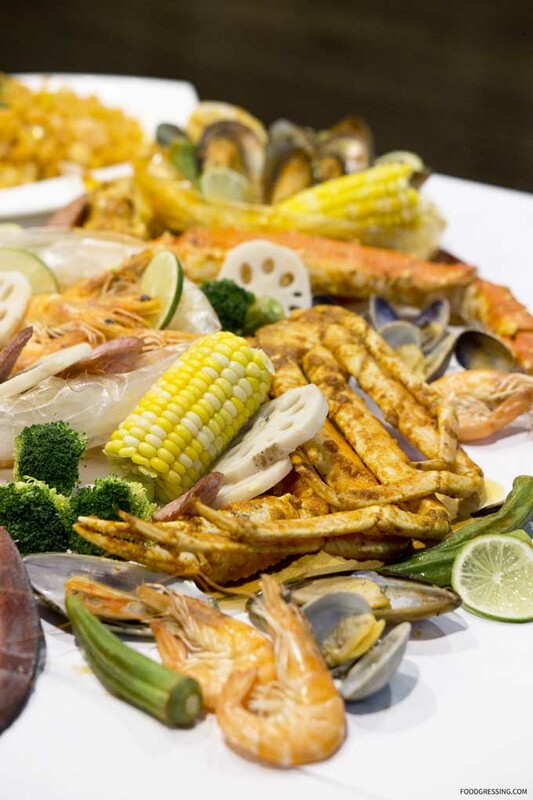 How it works is you first choose the seafood “catch” (including King crab legs, shrimp, Louisiana crawfish, lobster, clams, mussels and more). 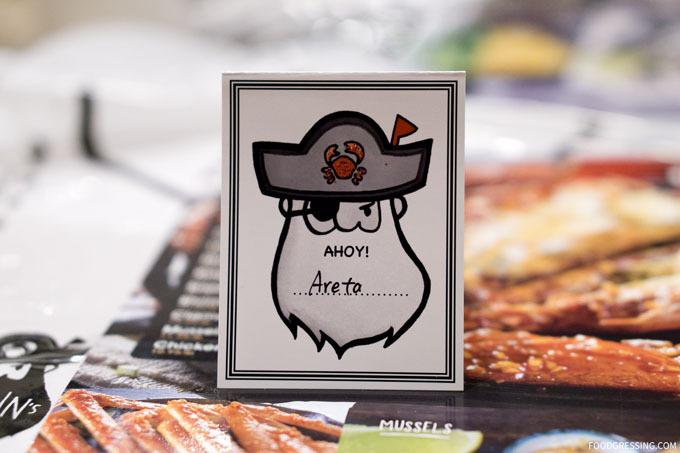 Then, you choose your spice level (ranging from Mild to Fire) and your spice flavour (Cajun Cajun, Lemon Pepper, Garlic Sauce or the Captain’s Boil – all tri-mix). The seafood is either market price or by pound. Side options include fries, corn, chicken tenders, fish & chips and more. Also available are sizzling plate combos like fish or chicken teriyaki. 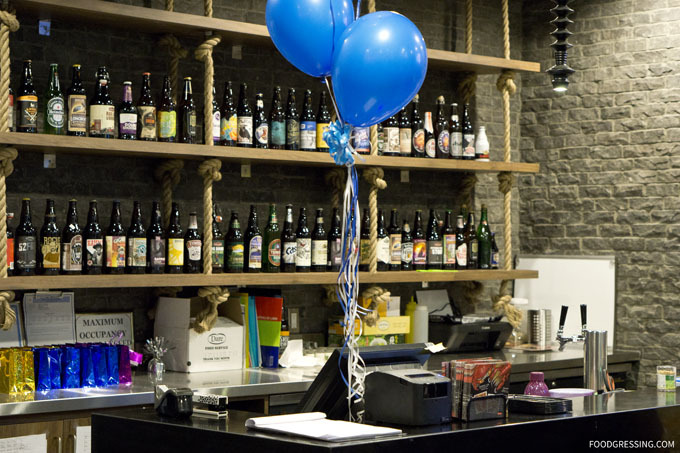 For drinks, The Captain’s boil offers beer, soju, sake, pop, iced tea and more. The bill came out to $598.33 including taxes but not tip, which averages to $100 per person. 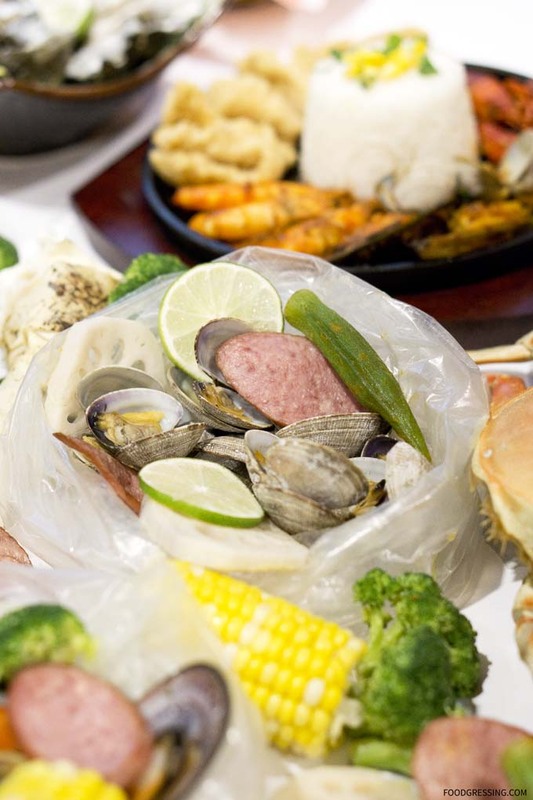 The seafood catches were piping hot and came in plastic, foodsafe bags that were dumped out onto the tables. The sides (oysters, okra, broccoli fries) were also on point but the standout to me was the corn. I really enjoyed the corn which was wonderfully sweet and juicy. We went with a variety of seasonings including Lemon Pepper, Garlic Sauce or the Captain’s Boil. Personally, I’d just stick to the Captain’s Boil seasoning which has a mild spicy kick to it and is very flavourful. I quite enjoyed the quality of the seafood overall except for the dungeness crab which was unexpectedly soft. 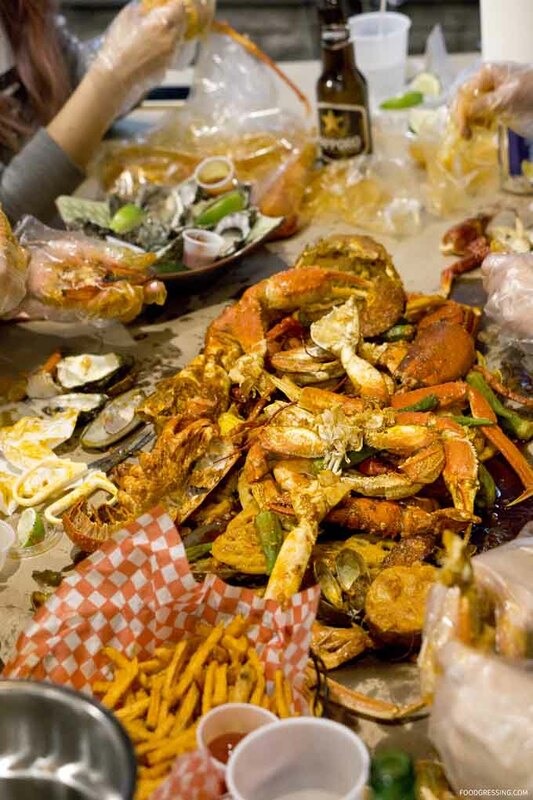 Certainly eating at The Captain’s Boil can be very expensive because of the seafood. However, it all comes down to the way you order. 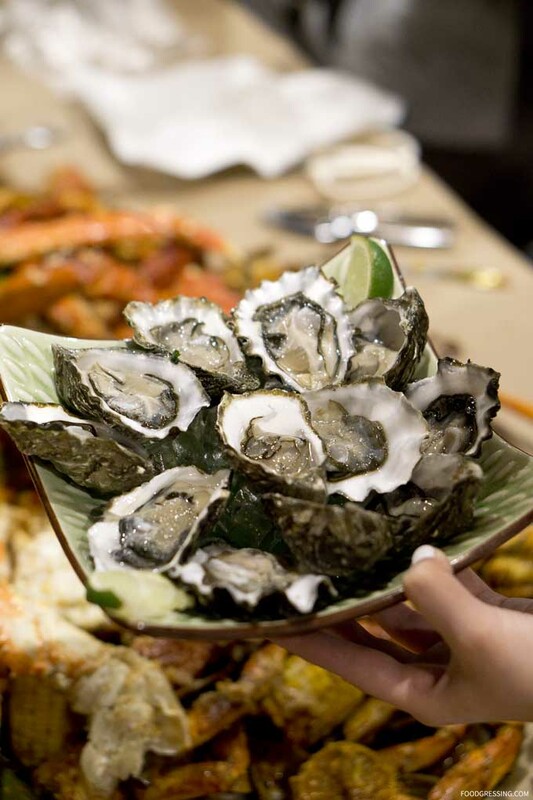 The most expensive items are the King Crab leg ($40 each), lobster ($46), and dungeness crab ($38). 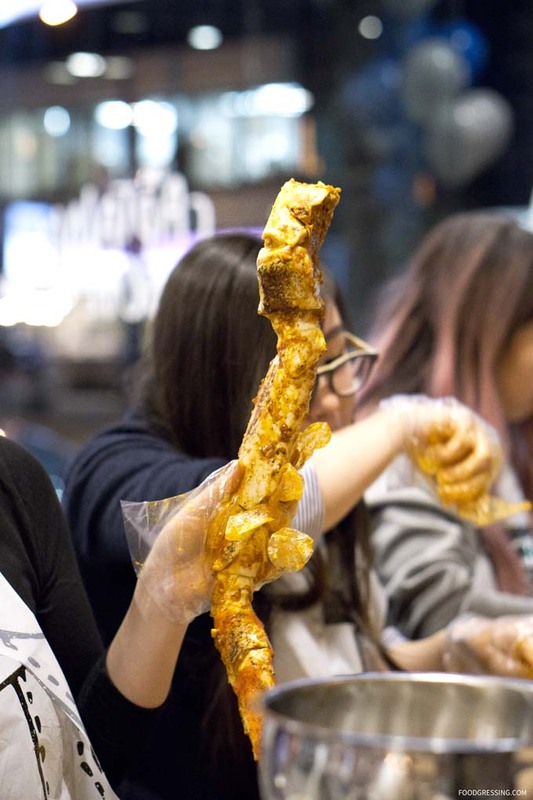 If you order these, you’re certainly going for a more premium dining experience. If you want something more modest, go for the shrimp which are about $13 per pound or the crawfish at $16 per pound.